These three objectives were identified as the yardstick to measure the overall success of TSHC 2016 Freshers Campaign. In addition to the overall objectives BAM set data collection targets for each individual fair which were based on what was achieved in 2014. The first step of the campaign planning stage was to look at how to create an engaging atmosphere in order to attract a higher footfall to TSHC stand. To do this BAM and TSHC came up with a selection of prizes and giveaways to attract the attention of students which ranged from branded sporks and sweets to selfie sticks and iPads. BAM then designed and developed an interactive, gamified data collection app that gave students an opportunity to win a prize on the spot. The concept was simple, in return for inputting their data the students selected an image of a yellow door to see which of the prizes they had won. The app created some magical moments where students were left speechless after winning an i-Pad. In addition to the creation of the app, BAM were also responsible for the heavy lifting elements of the campaign including all of the end to end logistics and the hiring and management of staff. 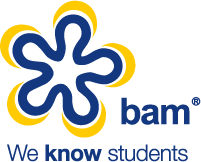 With BAM’s experience of managing student marketing tours they are aware that the quality of staff can be the difference between a good tour and a great tour. It’s safe to say that there were a few characters working on this campaign, in particular the two girls in the North West region that celebrated every win with equal enthusiasm whether it was a spork or an iPad! On reflection the campaign really hit the mark. 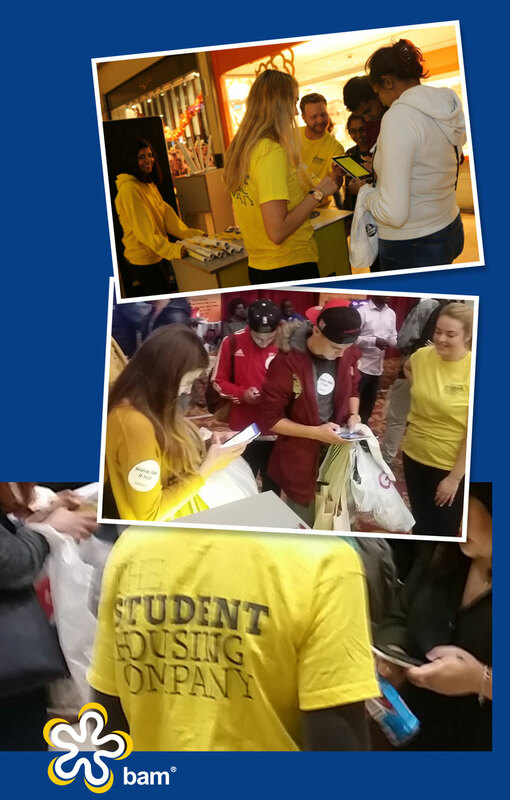 The impact of the instant win element was a key factor in the success of the campaign as it attracted mass interest to the stand allowing the promotional staff to collect sign ups and educate the students on their offering. With the objectives of the campaign achieved BAM cannot wait for Freshers 2016 when they can do it all over again!